Next time you offer to get the drinks in, fork out for tickets or pick up the tab — which you definitely should — it’ll pay to pull out a quality wallet. And that goes double if you’re doling out business cards; crumpled edges don’t scream ‘professional’. 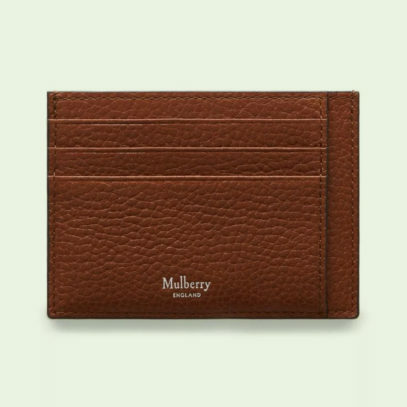 Slim, smart and sophisticated, the card holder is the ideal stripped-back wallet for the man who likes to pack light. 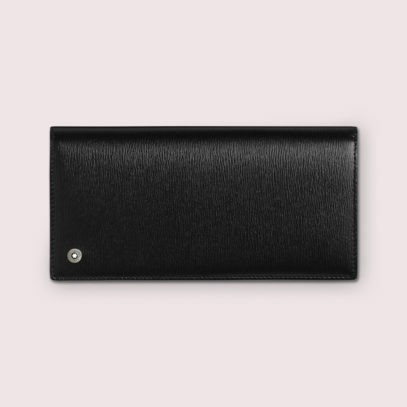 Enough room for your essentials, but without the temptation to ram it full of ticket stubs and loyalty cards you’re never going to use again, it’s the perfect way to overcome pocket bulges — while still keeping all your cards and cash in one safe place. Ettinger’s leather accessories range has just grown, and the Magic Wallet is their latest fantastic innovation. With cleverly crafted lengths of elastic, your notes will stay safely stowed no matter which way you open it. And, if you fancy having a closer look at one of these, they are available for purchase in our new store in the Burlington Arcade. 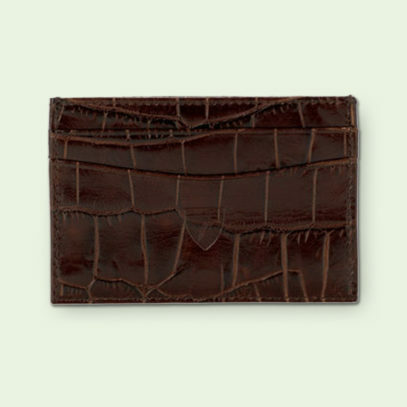 Alternatively, more traditional options are available from Mulberry, or this crocodile leather choice from Aspinal of London. You like to carry around a little more cash, do you? Like the flash of purple — or more likely, red notes when you flip open your wallet? Then you’ll need a wallet with a bit more capacity. A billfold with a built-in money clip is the way to go if you err on the profligate side, and will ensure you never lose an errant twenty ever again. 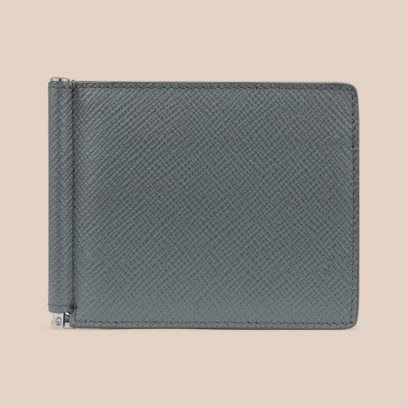 Made from soft calf leather, the Panama Money Clip wallet from Smythson is an impossibly cool option. 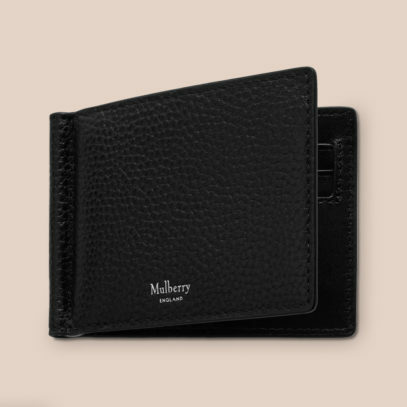 Or, if you fancy something a little more below the radar, this black natural grain wallet from Mulberry could be the best option for you. 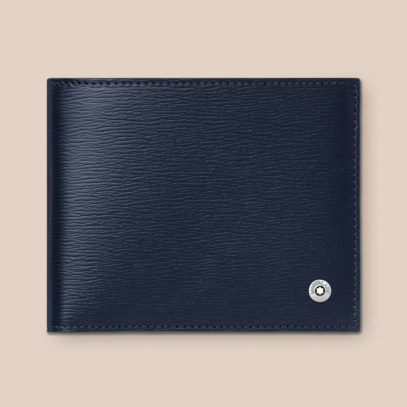 Alternatively, Montblanc’s Westside wallet is a refined option with an air of Swiss sophistication. 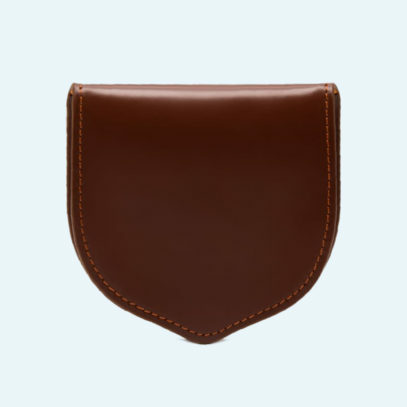 For men who like to make a statement — but only when paying — a coat wallet is the ideal purchase. When you stow it in the folds of your coat, it’s nigh-on invisible. 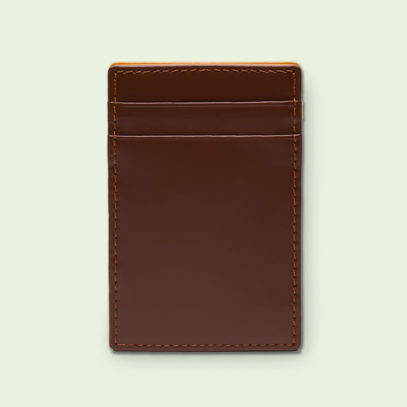 But, when you pull it out, there are more card slots and money pouches than you can shake a crisp fifty at. 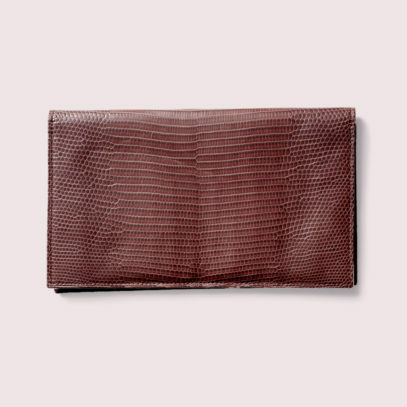 If you’re really looking to make an impression, this lizard skin wallet from Asprey is sure to impress whoever is sat across the table from you. 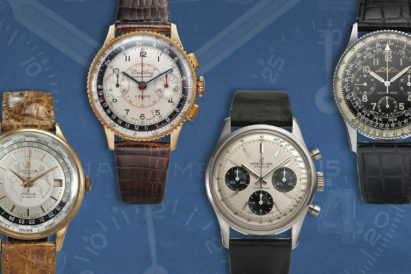 Or, if you like a more conservative look, then Montblanc has you covered with their 4810 collection. 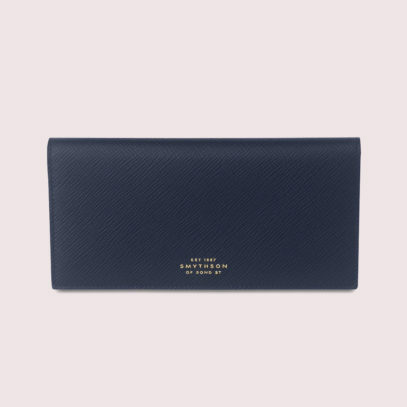 And, never ones to disappoint, Smythson offers their practical coat wallet in a stylish navy. Jangling around with loose change in your pocket should be considered a sin. Nobody wants to hear you rattling around the office, with coppers bouncing around in your shapeless pockets. So why not give that shrapnel a proper home, and throw it into a sturdy coin purse? 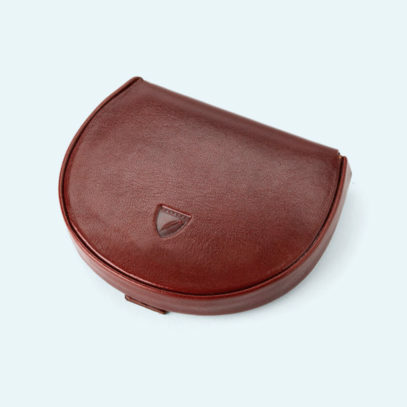 Hand crafted from Italian calf leather, the Horseshoe coin holder from Aspinal is a meticulously crafted option. Alternatively, add a splash of hidden colour with the bright yellow interior of the Ettinger bridle tray purse. 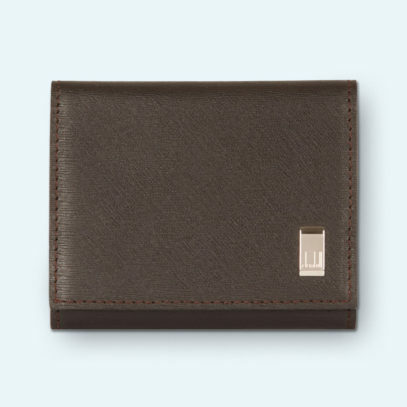 Or go for this square alternative from Dunhill, that also comes with a slot in the back for cards.